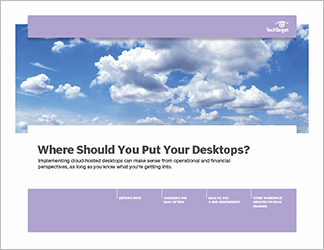 As desktop as a service (DaaS) matures, why should -- or shouldn't -- organizations move to cloud-hosted desktops? DaaS makes it easier to provision virtual desktops, simplifies management tasks and allows users to work from wherever they happen to be. Still, hosting desktops in the cloud may not yield the cost savings an organization anticipates, and adopters will want to fully understand the implications DaaS has for licensing, security and latency. 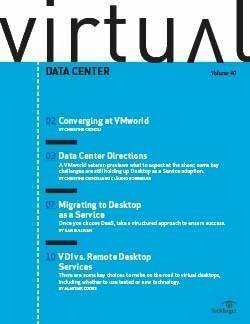 This handbook gives IT decision-makers the information they need to realistically assess the viability of a DaaS initiative, and it describes how DaaS differs from Windows as a service and from other forms of virtual desktop infrastructure. 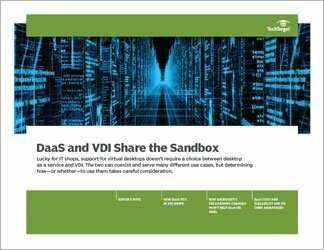 DaaS vs. VDI: A fair comparison?